I love roasted veggies!!! 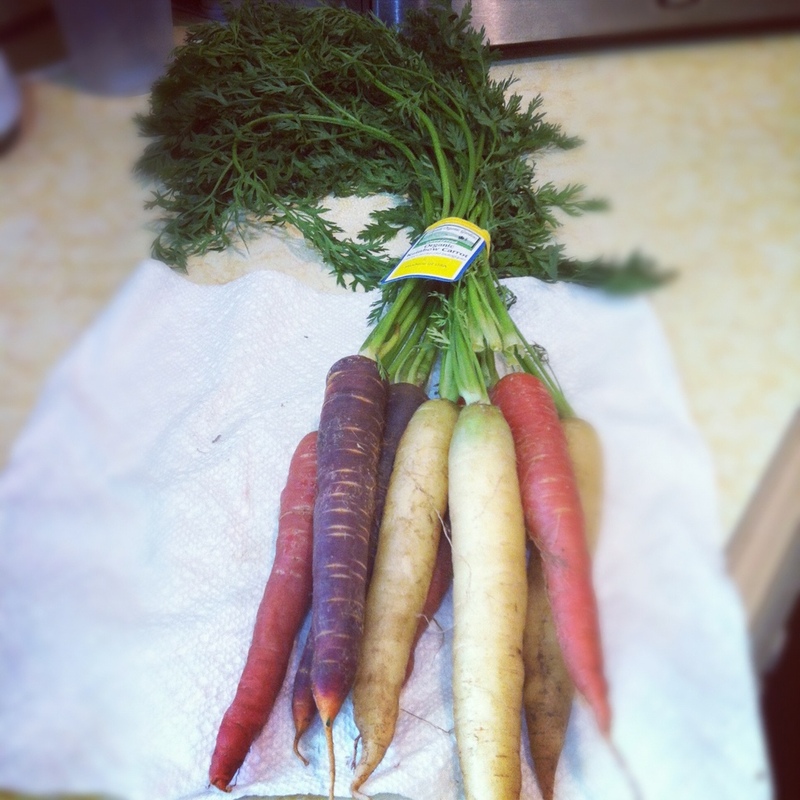 I received these rainbow carrots and beets in my organic share and they looked so pretty I did not want to juice them. I roasted them with some olive oil, thyme and rosemary at 350 degrees for about 20 or until tender. Oh so good!! As a child one of my favorite meals was “cocido” which is boiled ripe plantain with butter and shredded cheese. Now I have modified this favorite dish to make it Paleo friendly and although I would not have this as a meal now it makes a great side dish. Some complex carbs from the ripe plantain and protein with some fat needed for a balanced diet. When making this I use 4 very ripe plantains. One package of Apple gate uncured bacon. One tablespoon of grass-fed butter. Method: Boil plantains until soft. Meanwhile, chop bacon and cook on stove top. Once plantains are done mash with fork and add butter. Mix well. Add bacon once cooked and mix all together. Here’s another quick and delicious side dish for those that like mushrooms. I used crimini mushrooms. Washed and sliced. Vidalia onion sliced and some minced garlic. 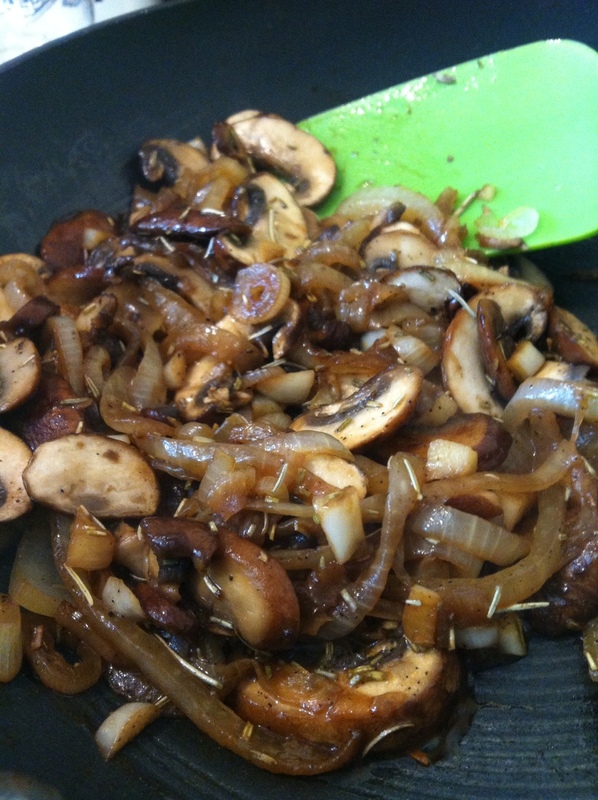 Just place onion on skillet with a tablespoon of grass fed butter and balsamic vinegar and brown. After a few minutes, add in the mushrooms. Season with pepper, thyme and rosemary. Feel free to add any other spice you prefer. Cook until mushrooms are tender. Enjoy! 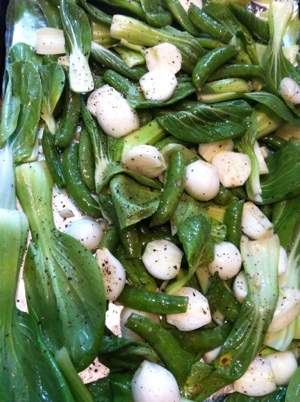 Here’s another great side dish combination: baby Bok Choy, baby onions, and snap peas. It was as simple as sprinkling some pepper and olive oil, mixing it all on a baking sheet. 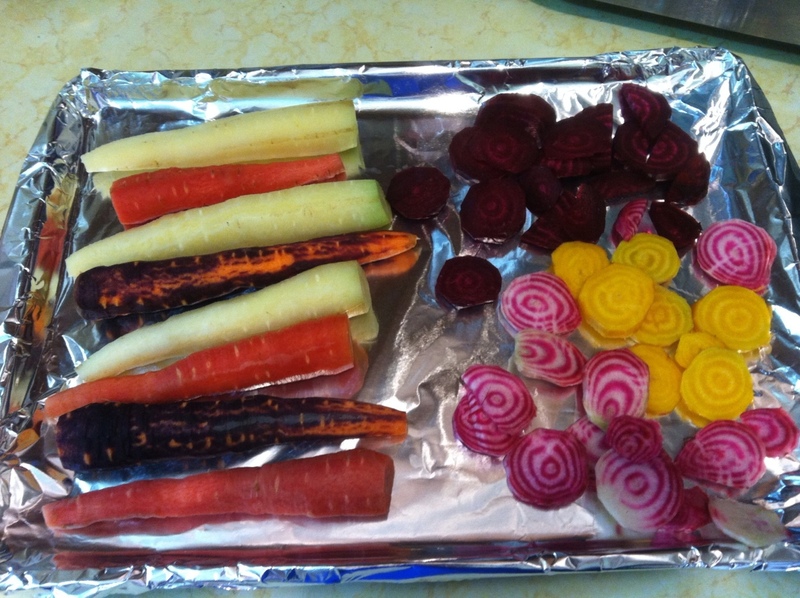 Bake at 350 for 20-25 minutes turning veggies once. Now that summer is near I would like to grill (or have my husband grill :-)) more often. 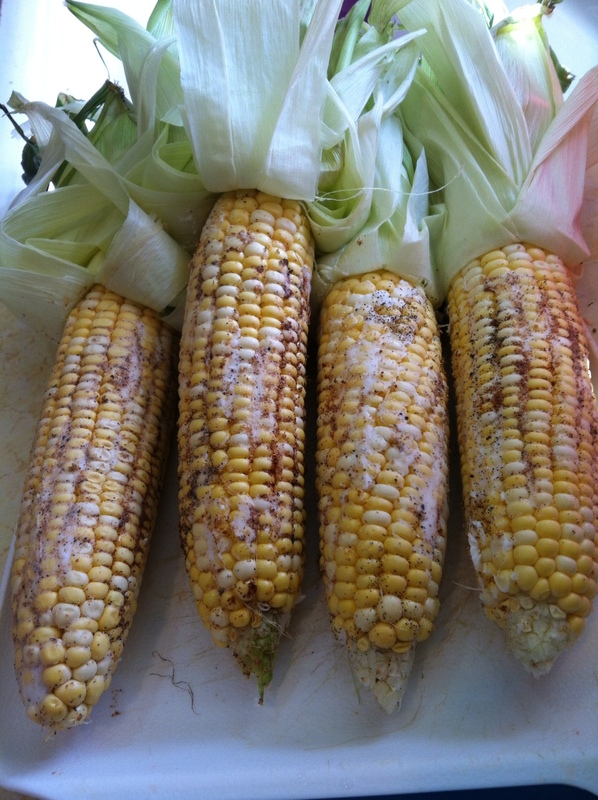 One of my favorite sides is corn on the cob. 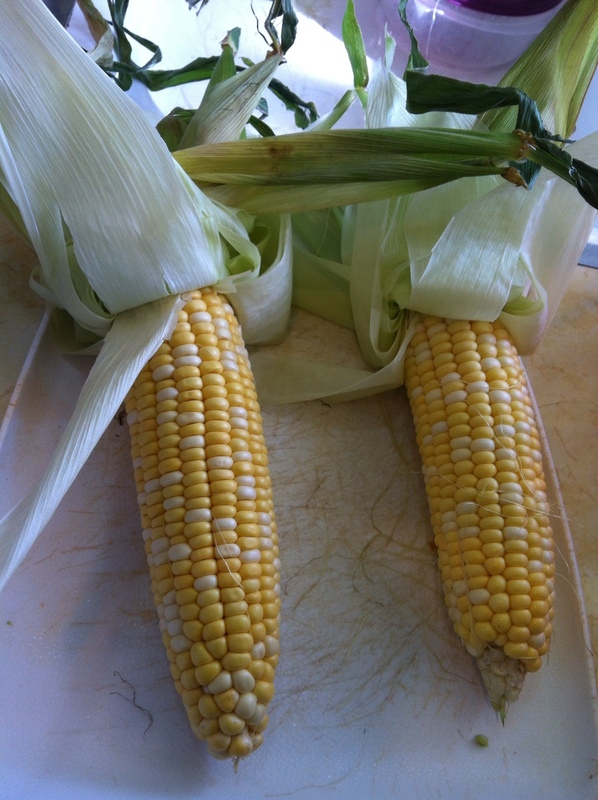 Since Miami weather is so unpredictable I found a new and easy way to have my corn on the cob without depending on good weather. 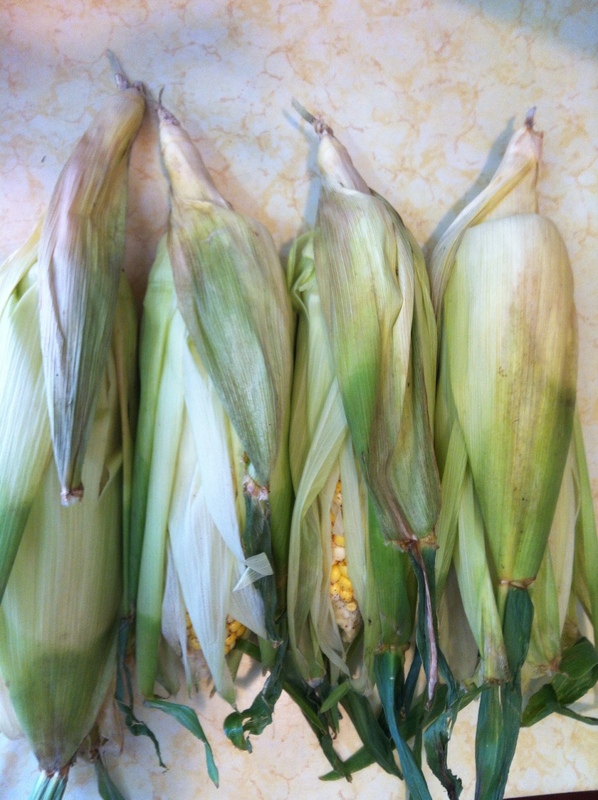 I used organic corn with leaves and husks. Peel the leaves back carefully without ripping them out. 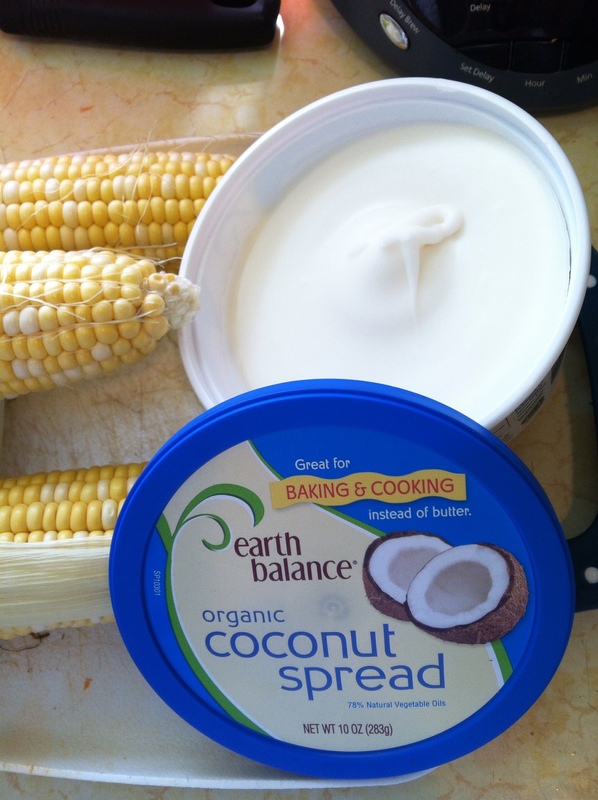 I used this coconut based spread instead of a dairy product. You can use butter if you like. Once leaves are peeled back, cover with spread and all spices. 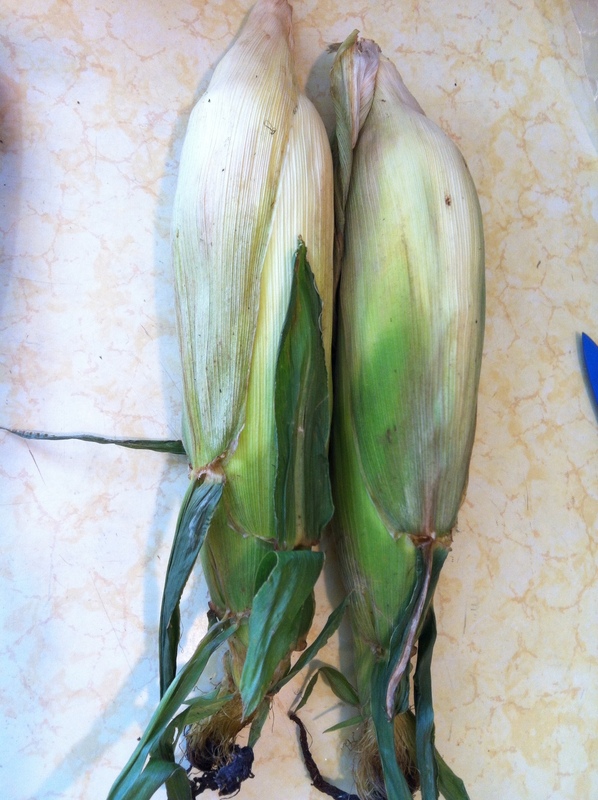 Cover corn with leaves again and place in oven for 20-25 minutes at 350 degrees. Make sure no husks are touching the bottom of the oven or it will burn. Let the corn cool. Peel all leaves and enjoy!!! 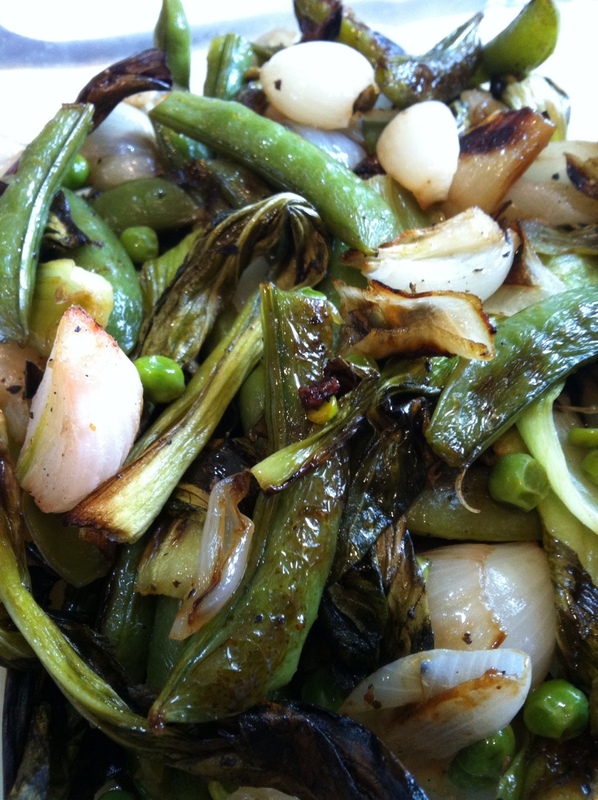 Here’s another easy recipe for a side dish that will go well with any protein you make. – I cut each Italian zucchini in half and cut it lengthwise twice. – Place it on baking sheet skin down. – Mince some garlic and place in small bowl. As garlic sits it becomes more flavorful. – Mix some olive oil, pepper and complete seasoning with the garlic and brush on the zucchinis. 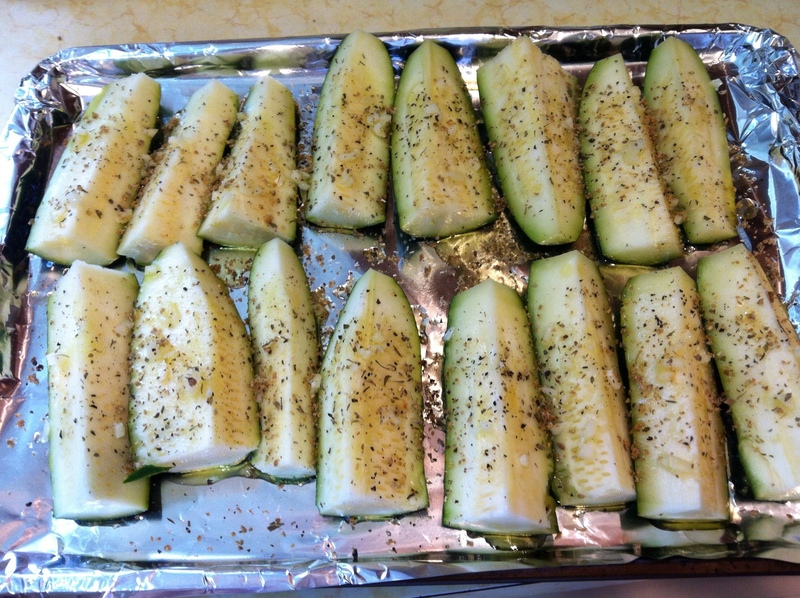 – Bake on 350 degrees for about 20-25 minutes until the zucchinis are a bit brown on top. Very easy and so tasty!!! Enjoy! 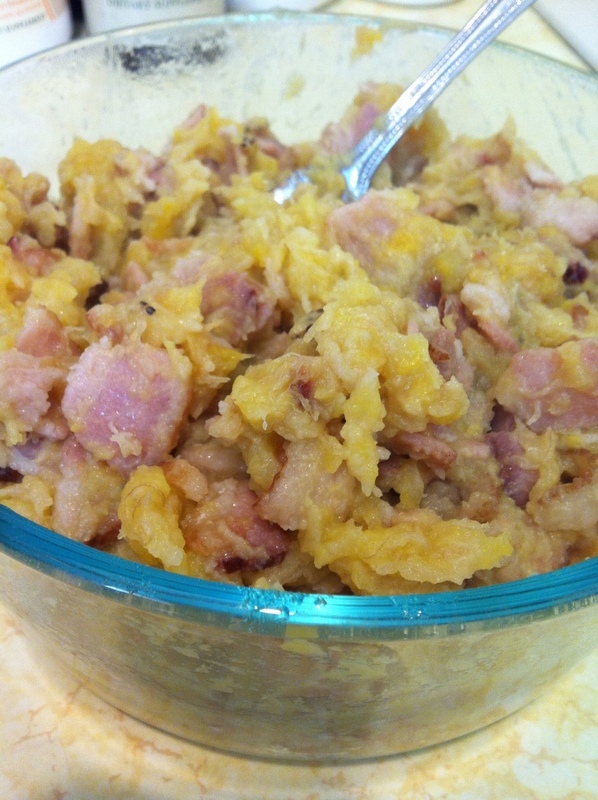 This side dish is easy to make and it’s a variation from the usual sweet potato mash I make. This Cauliflower mash goes well with just about any protein and side of veggies. This recipe is from my Make it Paleo recipe book. 1. Place cauliflower in a steamer basket in a large soup pot, season with salt and pepper, and steam until soft (about 10-12 minutes, test with a fork). 2. Heat 1 tablespoon of kerrygold butter in a non-stick frying pan on medium heat. 3. Saute onion, garlic, and herbs until onion is translucent. Season with salt and pepper to taste. Set aside. 4. Place steamed cauliflower into a blender or food processor. Add the sautéed onion, garlic, and herbs, along with the second tablespoon of butter. Process until smooth. …And you are done! Enjoy! I think this is one of my favorite side dishes my mom makes. As a child I was not sure what exactly this was but I loved it! Now that I enjoy some time in the kitchen I find myself asking mom about all the dishes I liked and I try to figure out a way to make them healthier for me to eat today. Cut the pumpkin in chunks and boil until soft. 15-20 minutes. Test with fork. Mash the soft and peeled pumpkin with a fork. Add in a tablespoon of butter and mix well. Shred some parmesan cheese and mix again, making it into a nice smooth purée. Place in oven safe dish and bake at 350 for about 35 minutes or until top is golden brown. Turn on the broil for the last 5 minutes to give it a nice golden brown color. The easiest way for me to cook anything is by putting it in the oven. When I cook you can find my oven with 4 different trays going all at once. Whether is protein or vegetables I place them all together resulting in better time management in the kitchen. Recently I gave it a try with eggplant. Just slice the eggplant and place it on a baking sheet. Try to layer them so that they are not directly on top of each other. Sprinkle some olive oil, pepper and oregano. Flip them and do it again. Super easy! Bake them at 350 for 25 minutes. Now you have a vegetable side to last a few servings. Cauliflower is a vegetable I like but for some reason I forget to buy it more often. Making it into easy and different side dishes like this one will definitely help me keep it in mind. Wash and pat dry the cauliflower. Cut into chunks and grate or place in food processor until you have a rice consistency. Set aside. On a large skillet saute the onions and garlic with coconut oil until onion is tender. Add in the grated cauliflower with salt and pepper. Cook for a few minutes until you reach your desired texture.